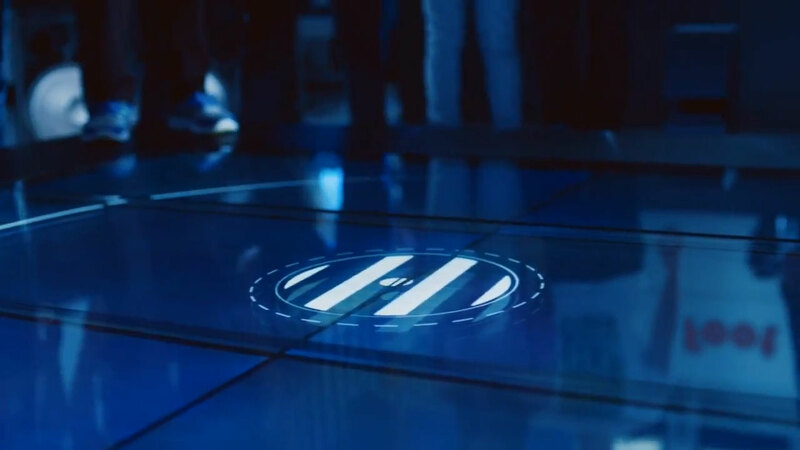 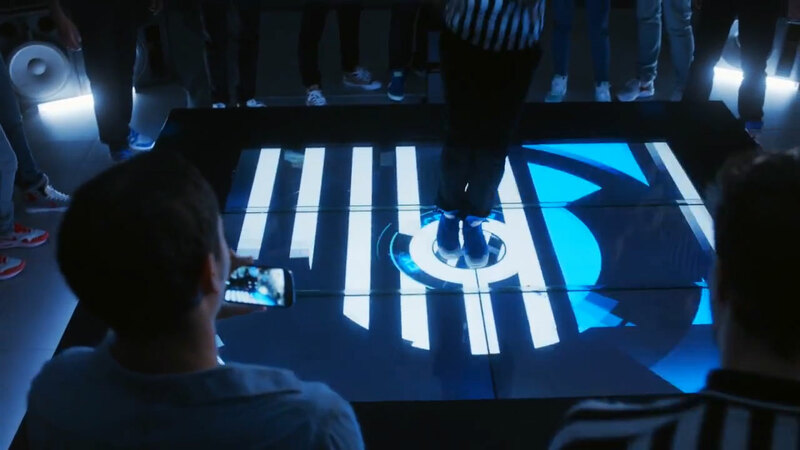 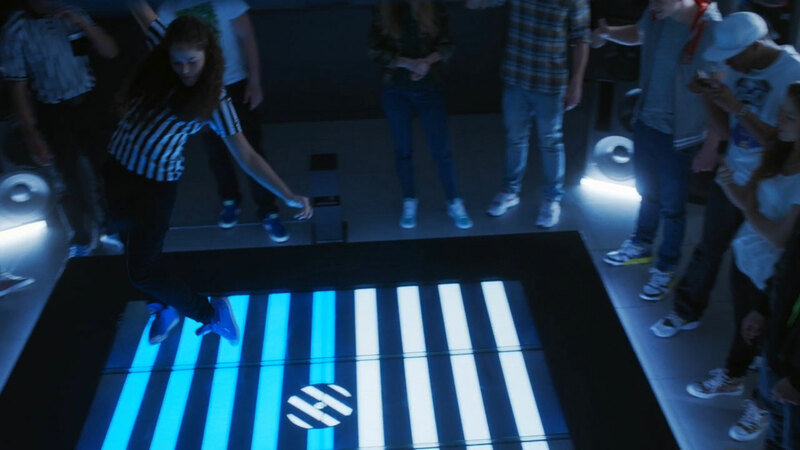 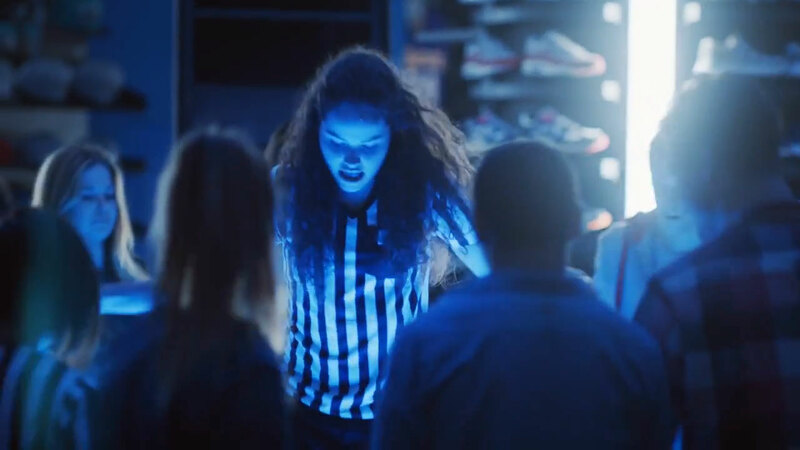 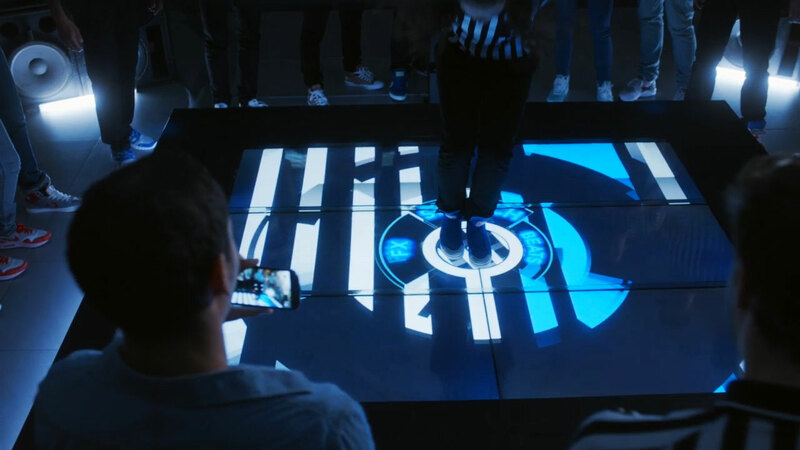 The Sneaker Deck project is a 90 Second Online Commercial created for the brand “Footlocker” by Marshmallow Laser Feast as an in-store concept of an interactive dance floor. 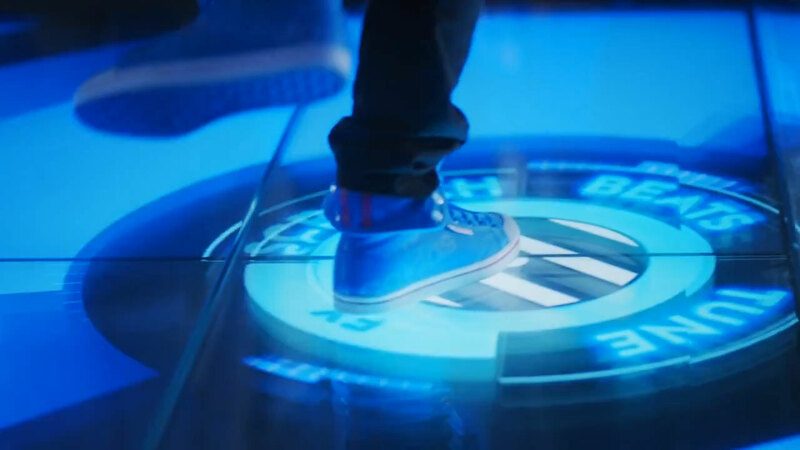 A digital interface for creating music with your shoes. 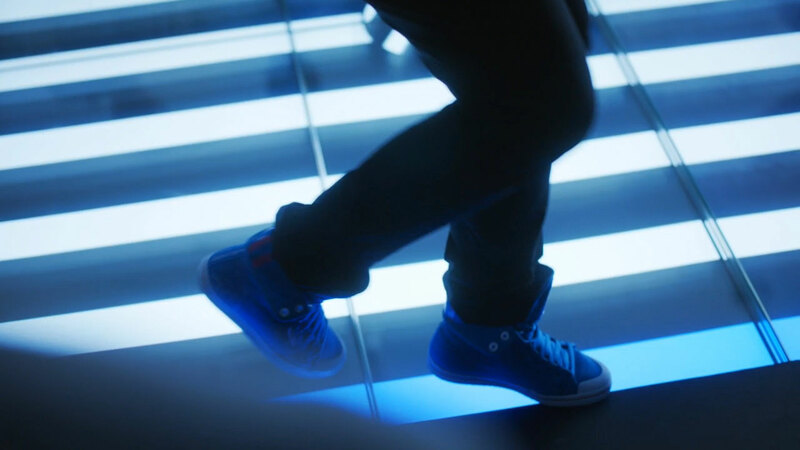 Each type and colour of shoe triggers a different flavour of interface on the dance floor allowing different dance styles and modes of interaction.